Providing you the best range of plastic injection moulding servo drives and injection moulding machine servo drive with effective & timely delivery. We are offering of Plastic Injection Moulding Machine Servo Drives. As the technology of microprocessor unit becomes more advanced and much further, the development and cost effectivity of permanent magnet manufacturing technology for servo motor and high power and high performance semiconductor power devices is improved continuously. 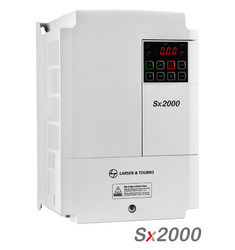 Therefore, AC servo motor and AC servo control system have become the basic techniques for accomplishing automation control technology in current industry field. Delta servo system is an omnibearing integrated servo system which is based on Delta's strength in industrial and electronic technology and developed for different customers' requirements of various application machine tools. All ASDA series servo drives are provided with a superior digital signal processor (DSP) which represents a high-speed performance of the control circuit loop. Besides, the other features of Delta ASDA series, including gain tuning, smooth motor operation and software analysis / monitor function, also provide high-speed and high-precision motion control for a wide range of industrial automation applications. Here we provide Servo System With Servo Drive, Servo Motor, Pump, Bell housing, coupling, cable, chopper & drive display are included in package exclusively for Plastic Injection Moulding Machines. Our company is one of the renowned names of Injection Moulding Machine Servo Drive. We follow latest market trends and technology while manufacturing and our team invests a great share of their time and effort in the quality checks of the product. These are used for simultaneous moulding of a number of work-pieces which greatly reduces the operation time and also improves the center distance accuracy. 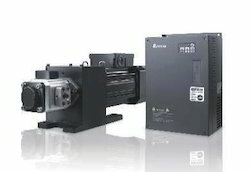 Looking for “Plastic Injection Moulding Machine Servo Drives”?